There is something new and shiny at the corner of 125th and 5th, and it’s Danny Meyers empire that has finally made it’s way to Harlem. 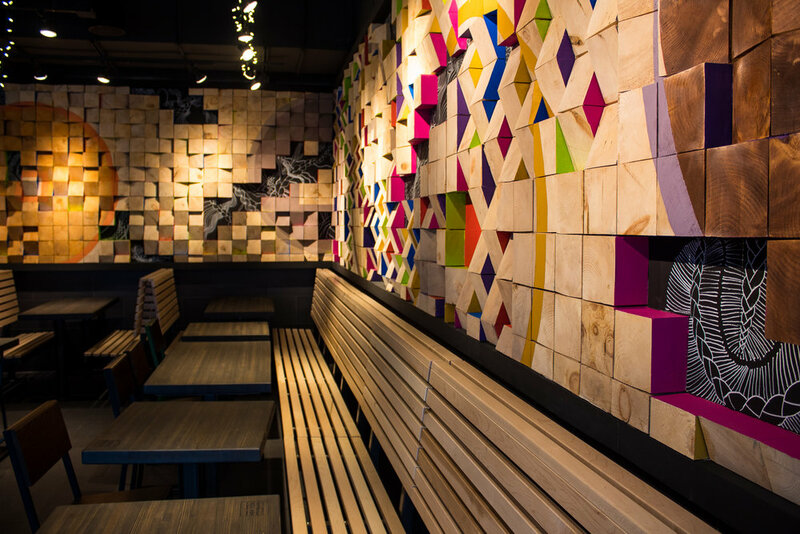 On December 18th the doors of Shake Shack opened to the public and has been full with burger lovers excited about another great option in Harlem. There was a lot of thought put into this uptown addition from the furniture, artwork, and the food to make it very Harlem and connected to the neighborhood. The internal and external murals of this new location were created by 11 talented Harlem teenagers that are associated with Creative Art Works which is a non-profit organization youth arts group. Regarding food, Shack Shake has created an exclusive concrete called The 125th Treat that includes snicker-doodle cookies from Lady Lexis Sweets which is a Harlem-based business run by a dynamic mother and daughter duo. Shake Shack has an initiative called Stand For Something Good, and 25% of the sales from the opening day went to Harlem Grown. Harlem Grown is a non-profit organization in Harlem, and their purpose is to teach the importance of healthy eating via education and hands-on activities. Shake Shack has decided to donate 5% of proceeds from the Pie Oh My concrete to Harlem Grown for the life of the Harlem location. This Shack Shake will also carry cold brews from local vendors such as Harlem Brewing Company and The Bronx Brewery. While visiting Shake Shack, I got to try their new chicken nuggets, and they are my latest addiction. Why? Because they are crispy on the outside and juicy on the inside. Shake Shack is truly applying pressure to these other chicken spots with this new menu item. Be sure to check out the newest location of Shake Shack In Harlem and let me know your favorites!